5.10: Never, Never Say Die. 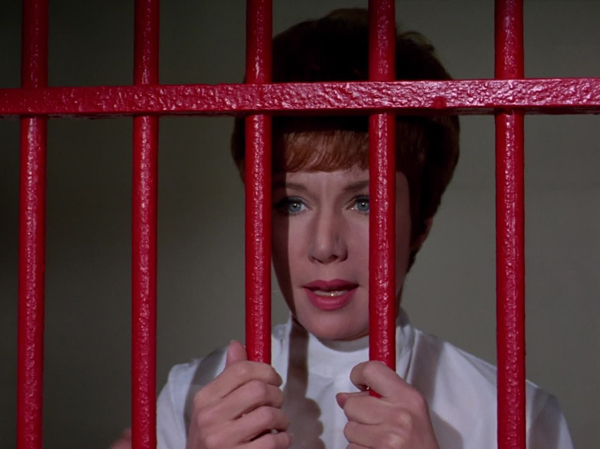 An episode that sets out its store of intrigue quite nicely, and hums confidently along, but ultimately reveals itself holding the least plausible of decks. 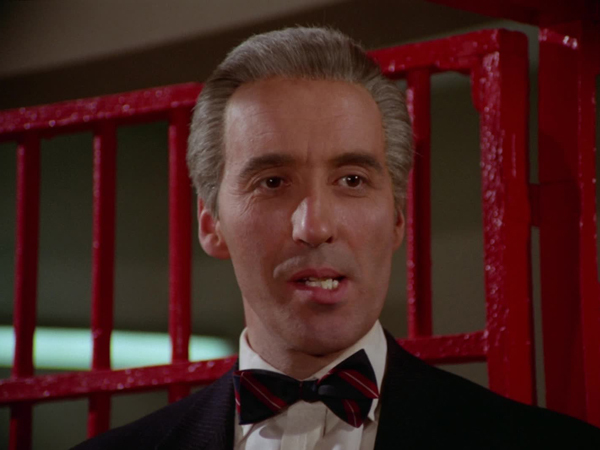 Never, Never Say Die sounds like a Bond title and tends to be a fairly highly-regarded episode, however; I can only assume much of that is based on its illustrious guest star, Christopher Lee, strutting his stuff in dual roles; both Professor Frank N Stone (hur-hur) and his monster, a part he has, of course, played before. 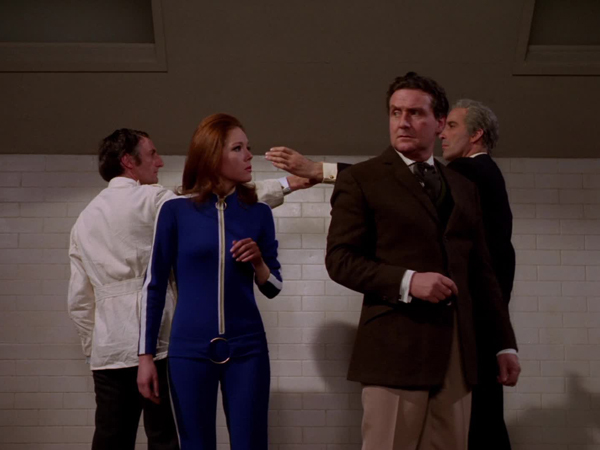 Steed: When I was here last, the professor was not at his best. 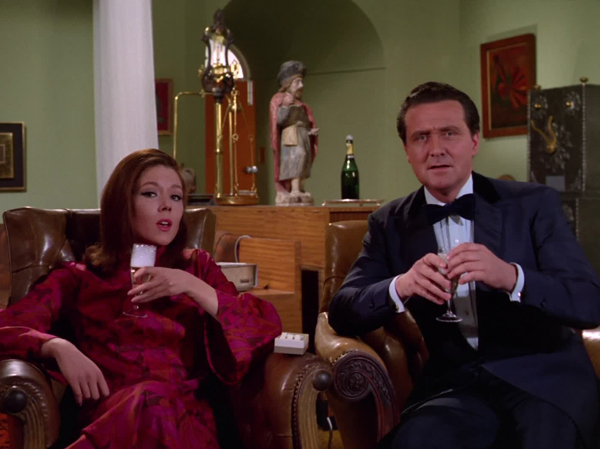 At one point, Steed invokes the possibility that the professor is experiencing some sort of Jekyll-and-Hyde condition, which would, dare I say it, have been much more interesting. 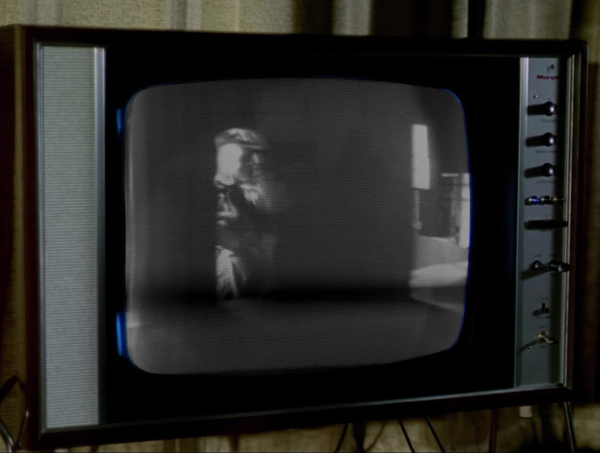 As it, is the clip from The Cybernauts (Emma is watching it on TV, which shows the show has now fully scaled the peak of uber meta-ness) seems to be winking at the audience and saying, "If this episode seems vaguely familiar, that’s because it is". With a sprinkling of Invasion of the Body Snatchers. 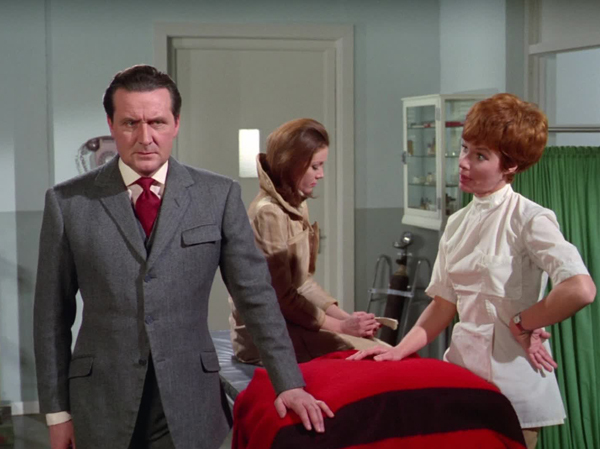 Fake Dr Stone: No, Mr Steed, that is not my twin. That is a machine. 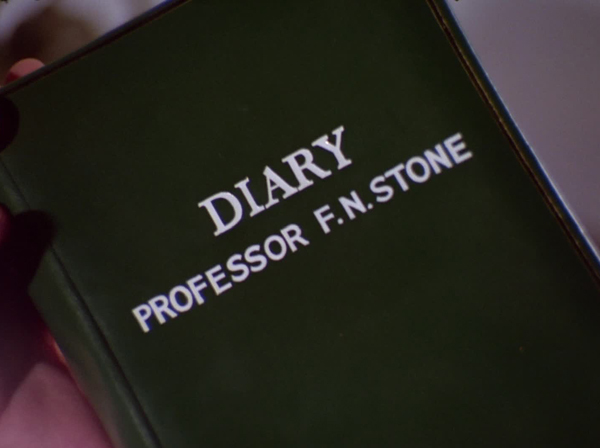 Fake Dr Stone: What we call a duplicate. This can repair and recreate itself. All it needs is power. It's programmed like a computer with a man's complete memory. 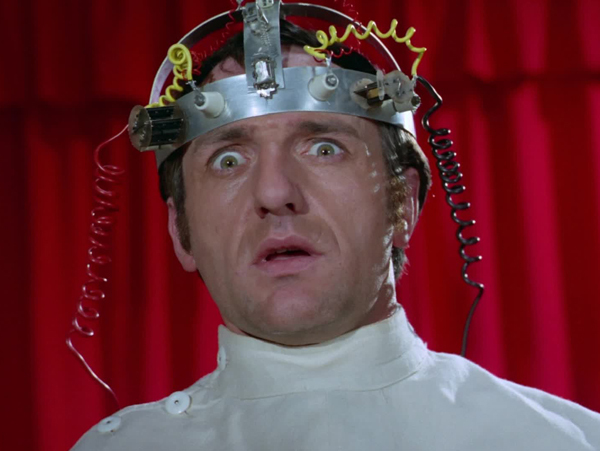 His total experience… What you would call a brain transfer, I suppose. It's based on the absorption of electrical impulses. 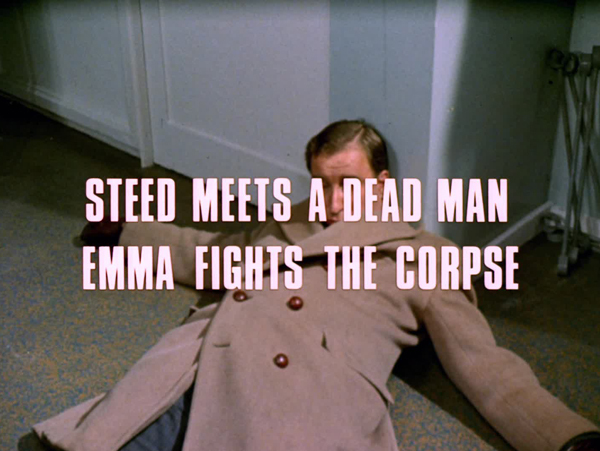 By this means, Mr Steed, great minds need never die. We can preserve not only memory and experiences, but thought processes as well. 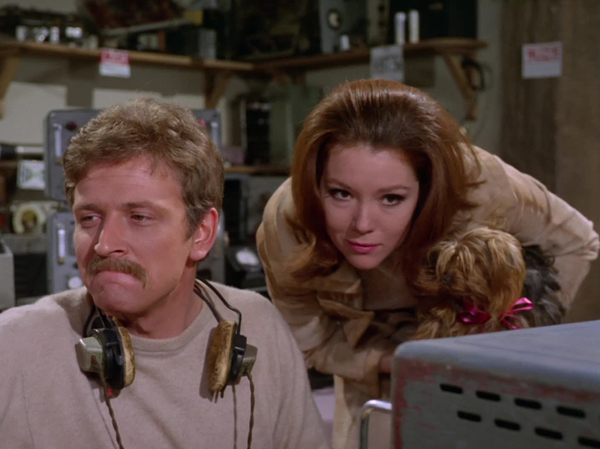 Philip Levene's screenplay offers much explanation of the goings-on at the Ministry of Technology, Neoteric Research Unit while simultaneously inviting us not ask too many questions. There are problems with weight and radio frequencies (the latter causing the duplicates to go on the rampage, smashing up anything emitting a disrupting signal), and they don't seem anywhere near being solved. The brain drain is invoked, and the promise "If we are to preserve our finest minds, in a matter of ten to twenty years we will outstrip every other nation. There will be no limited whatsoever to our advancement" with the tacit exclusion of politicians from the list, but since this is the fake Stone talking, who knows the truth of the matter (they're planning to duplicate the minister and his entourage, after all). 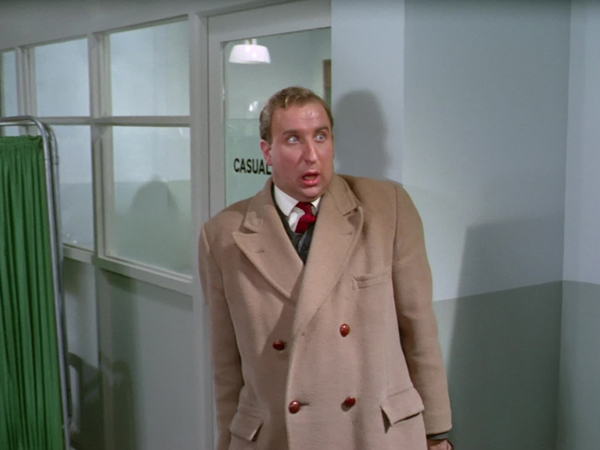 And the declaration "We duplicates are programmed to survive, Mr Steed. We are programmed to take over" is puzzling. Who programmed them for this? Dr Stone? If so, why? And how does the programming mesh with the aim to transfer minds undiluted? Fake Dr Stone: If we can show you the results of our work², if we can convince you it's perfectly safe, can we rely on your support? 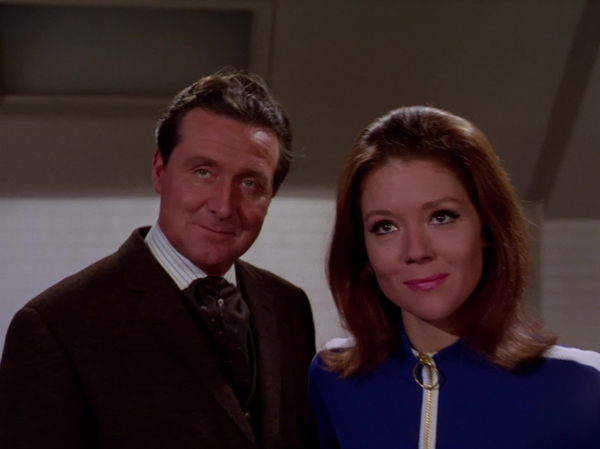 Steed: Ask me again after you’ve shown me. 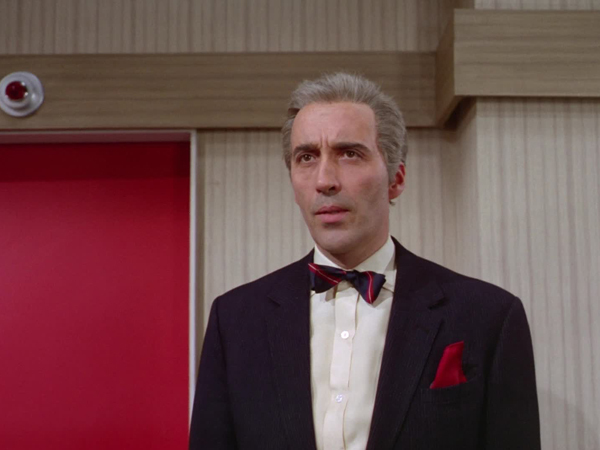 Nevertheless, director Robert Day (Two Way Stretch) has a strong sense for pace, and there are memorable interludes and cameos to punctuate the duplications. 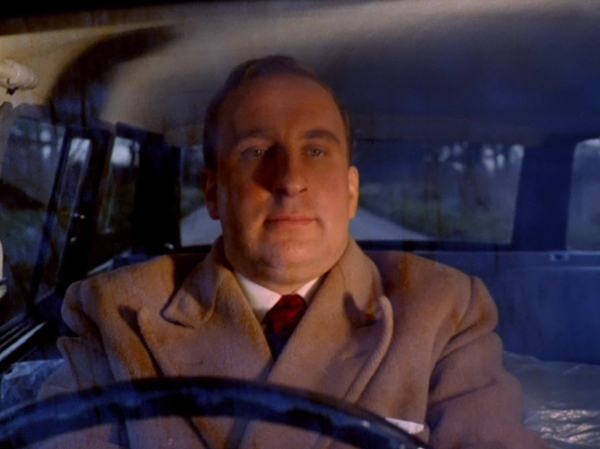 Christopher Benjamin (4.14: How to Succeed… At Murder's JJ Hooter) is the focus of a first-rate teaser, hitting Stone's double with his car and being told the victim is DOA (how much of an exam did they actually give him? 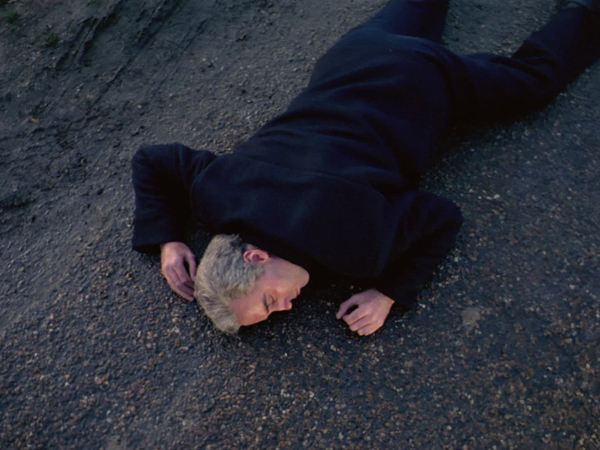 ), only for the body to get up and leave; later, Whittle hits him a second time, prompting the memorable "I've killed him! I've killed him again!" 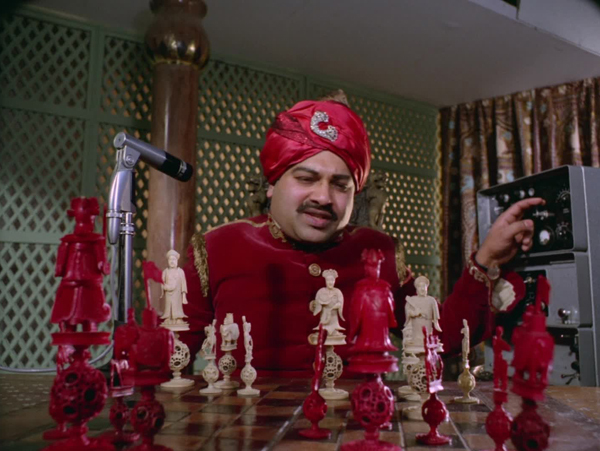 Indian Chess Player: After much thought and prayer my knight moves to rook six. 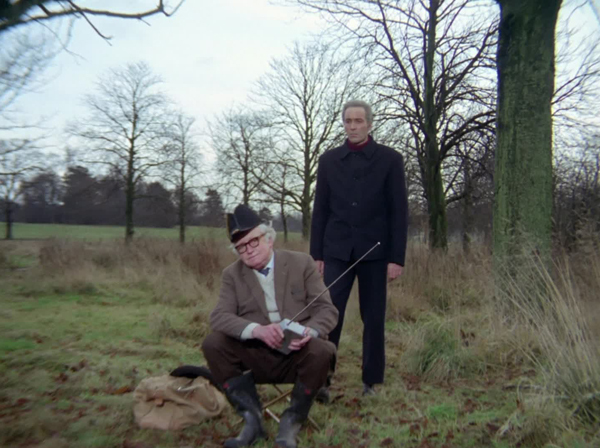 Eccles: Ah, I shall answer with my rook to bishop four. Indian Chess Player: Goodness gracious me. 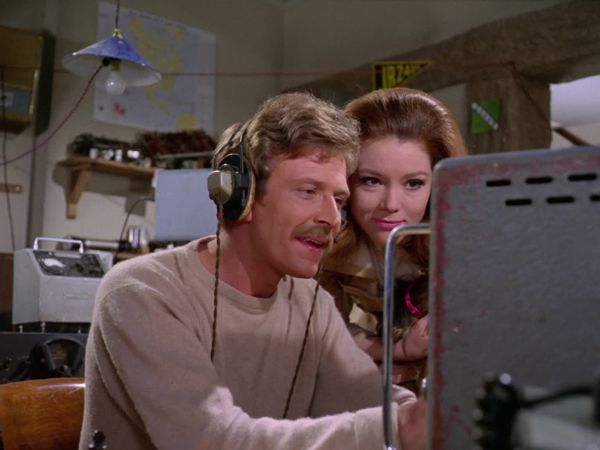 After showing off his fake Italian Piedi in 4.19: The Quick-Quick Slow Death, David Kernan was obviously a hit with producers (and, I'd hazard, Rigg), receiving an encore in which he tries out more accents to less mirthful effect; a short-wave radio buff, he informs Emma "There's nothing like a game of chess to improve international relations" as he mimics the accents of each of his chess opponents in different countries. His voices might at first appear insensitive, but it at least becomes clear he’s an equal-opportunities desecrator of dialects…until the stereotyping is evidenced by the depictions of his challengers too. Spike Milligan would have been proud. 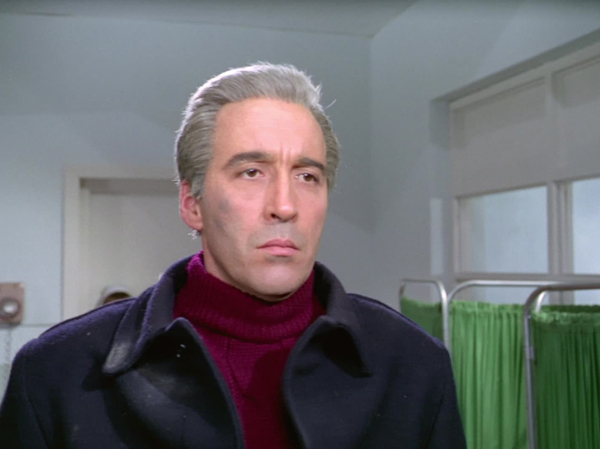 Also present are Jeremy Young (his Willy Frant failed the pea test in 4.21: A Touch of Brimstone) as Stone’s assistant Doctor Penrose – and Penrose’ duplicate – and Patricia English (2.1: Mission to Montreal, 3.14: The Secrets Broker) as another doctor, James, and another duplicate. 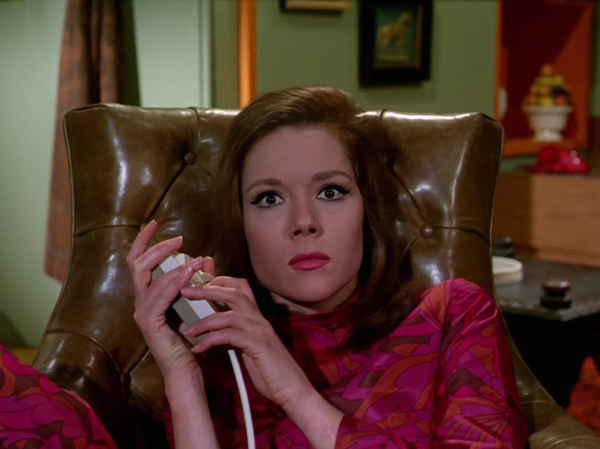 Mrs Peel: Do you find her attractive? 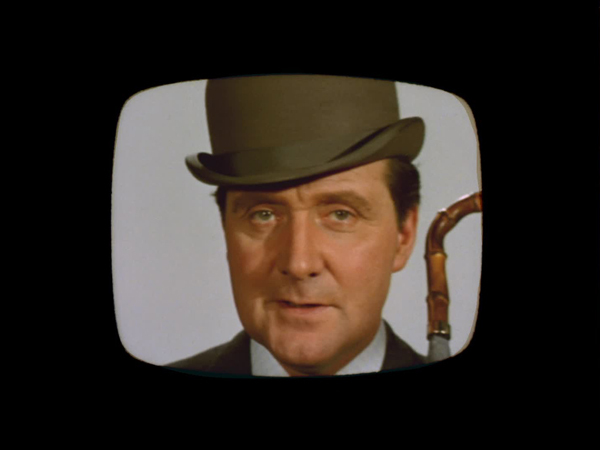 Steed: Not a patch on you. How about him? 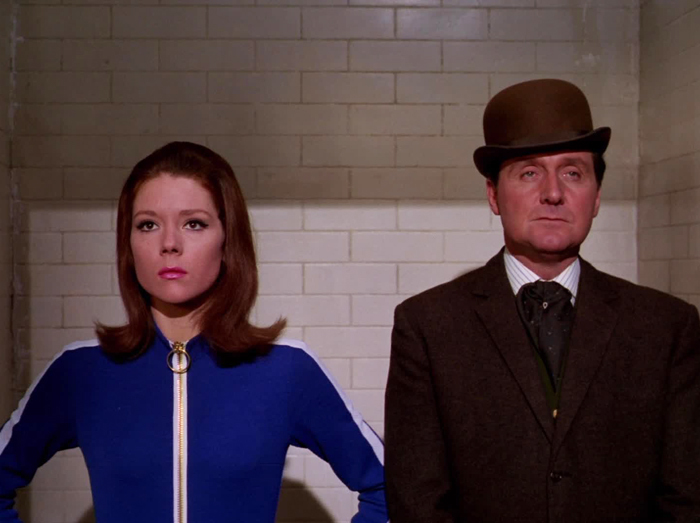 The main claim to fame of the climax is it sourcing one of the most iconic Avengers images (the header picture for this review); ironic, given Steed and Emma are playing their duplicates here. 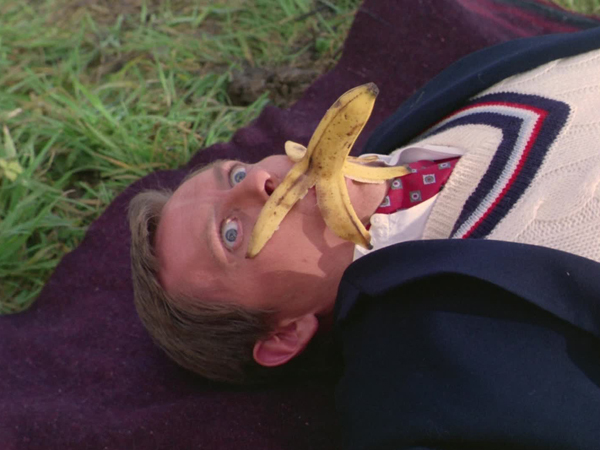 Such playfulness and scant regard for suspension of disbelief are now rampant in the show, the only caveat being how well it’s done. 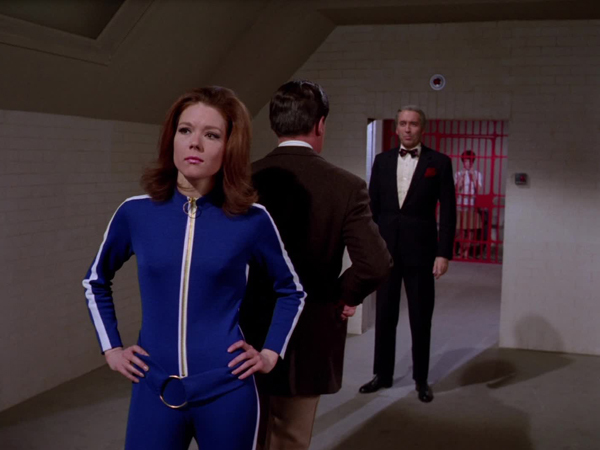 The opening "Mrs Peel were needed" has Steed appearing on TV (interrupting The Cybernauts), while the coda picks up the broadcast theme, with his dismay at the lack of viewing choice and Emma switching on a party-political broadcast; the gag that follows is fairly basic ("You know, we've just averted a disaster. Can you imagine plastic politicians? ": "Who would ever know the difference?") Cheers.